Whitworth to present 2011 Christmas Festival Concert, "Arise, Shine!" The 2011 Whitworth University Christmas Festival Concert, "Arise, Shine!" will take place in Bellevue, Seattle and Spokane, featuring the Whitworth Choir, the Whitworth Women's Choir, the Whitworth Men's Chorus, and the Whitworth Chamber Singers. More than 130 student performers will include members of the four choirs, as well as student-instrumentalists and narrators. For more information, please call (509) 777-3280. The concert theme, "Arise, Shine!" will be elevated through choral works, Old and New Testament readings from Isaiah and Luke, and traditional carols. Presented without interruption, the ever-popular concert will be concluded in candlelight. Musical selections will include Daniel Pinkham's "Christmas Cantata" for mixed chorus, brass and organ; Z. Randall Stroope's "Magnificat" for women's voices and piano 4-hands; Michael Cox's "O Holy Child" for men's voices; Marc A. Hafso's "There Is No Rose" and "Sanctus;" a spiritual, "Keep Your Lamps"; and a South African song "Siyahamba" (We Are Marching in the Light of God). Mass choir selections will include Carolyn Jennings' beautiful "Climb to the Top of the Highest Mountain"; Russian composer Alexander Grechaninov's expressive "Nunc Dimittis"; and David Willcock's majestic setting of "O Come, All Ye Faithful." 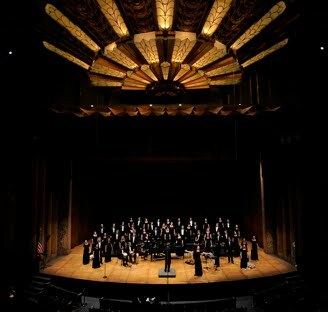 The Whitworth Choir will perform under the direction of Marc A. Hafso, director of choral activities. Deborah Hansen, associate director of choral activities and chair of the music department, will direct the Whitworth Women's Choir. Scott Miller, director of voice studies, will direct the Whitworth Men's Chorus. John Bodinger will serve as organist. Saturday, Dec. 3, at 7 p.m.
Sunday, Dec. 4, at 3 p.m.
First Presbyterian Church of Seattle, 1013 8th Ave.
Saturday, Dec. 10, at 8 p.m., and Sunday Dec. 11, at 3 p.m.
Martin Woldson Theater at The Fox, 1001 West Sprague Ave.
Tickets: $18 general admission, $15 for students and seniors 62 and older. For the Seattle and Bellevue concerts, tickets may be purchased by calling (800) 532-4668 or online at www.whitworth.edu/musictickets. Tickets for the Spokane concert can be purchased through those options as well at http://www.martinwoldsontheater.com/, by calling the Fox Box Office at (509) 624-1200, or at the information desk in the Hixson Union Building at Whitworth. A limited number of tickets may also be available for purchase at the door prior to each concert.